Today we're gonna discuss affiliate marketing. 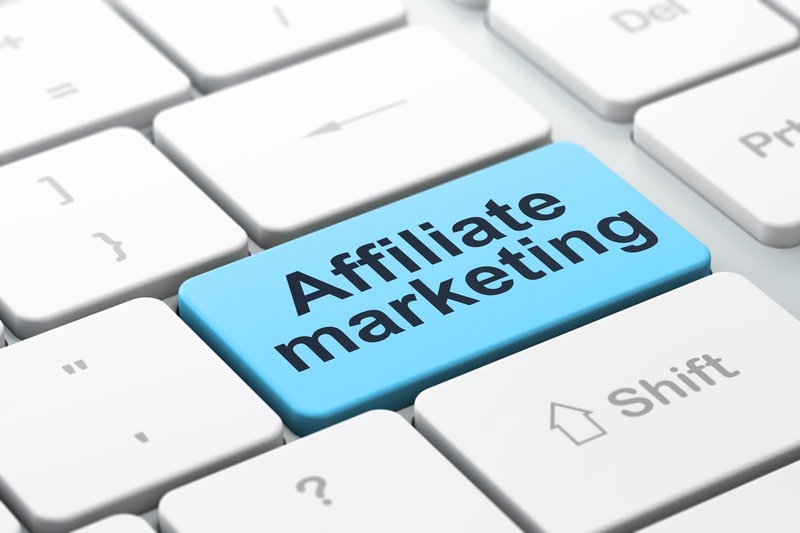 Many people hear of this term affiliate marketing but they do not actually know how to get started with it. Since Nigeria has been banned from Wealthy Affiliate for something we never did, should we then quit making money online? No! Affiliate marketing is just one of the so many ways to make money from your blog, one of the 9 easy ways through which you can make money without any capital, and one of the methods on my popular post on 25 ways to make money online as a beginner. It's very easy to be understood and I'll break it down here. Stanford has an e-book to sell at $9.99. He cannot reach the whole world to buy it but still he needs to generate revenue from the e-book. He looses nothing for selling copies of the e-book. He gives it to Clifford to sell for him and earn some part of the money. Clifford is to make 50% of his sales on the e-book, as decided by Stanford. Clifford sales the e-book to Ibinabo at the sellers' price of $9.99, then Stanford makes his own $4.99 and Clifford makes his own too. Now the e-book has reached Ibinabo, he too can join the sellers and be making his own money from the sales. 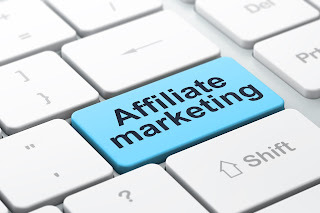 How Much Can I Make From Affiliate Marketing? 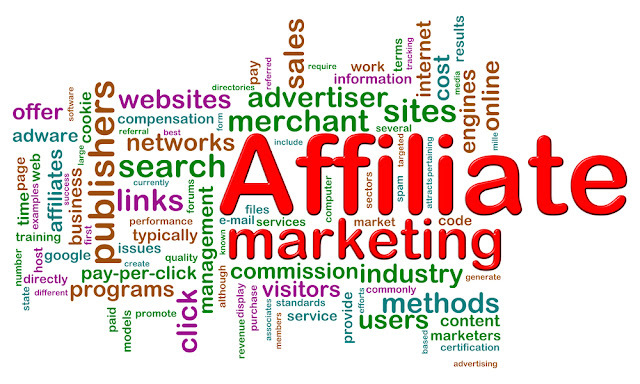 When some says you can make unlimited money from affiliate marketing, he is not kidding. Now imagine you began an affiliate deal with Toyota Incorporation, and you were to get a whooping 10% of sales from your affiliates, then you sell a car of 2,000,000 Naira. How much would your share be? No disputations, you are making N200,000 straight. The best part of it is that you didn't suffer for the money, just a Tweet, Facebook post or blog post and you made such amount of money, and there's a possibility that you'd sell more than one if your star is shinning🙋. However, we cannot be Toyota affiliates here in Africa, but we can still be affiliates though. A company like Konga would be a nice choice to work for. You don't need haven and earth to start making money with them, just to sign up here and you can make your first sell today. That's not all, you can also be our affiliates, YEAH! We pay people to promote our e-books and they make enough money from that. Our two e-books, Actualizing Your Dreams As A Freelancer [$0.99+]and Making Millions In Your Dark Room [$9.99+] are on sale on Gumroad and you can get paid to generate sales for us. 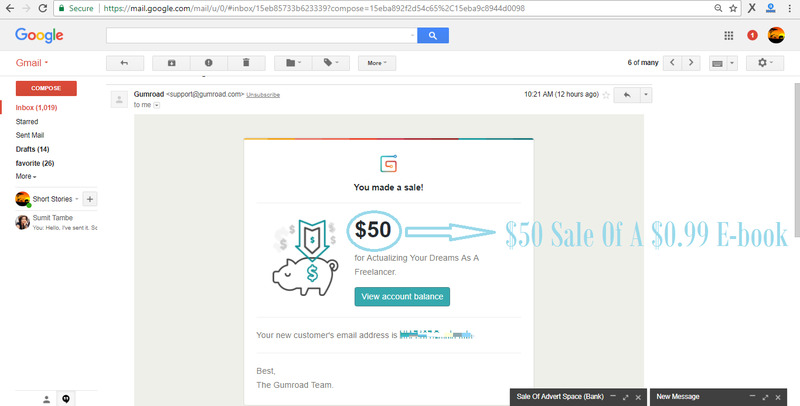 You can get as much as $50 from a sale of the Actualizing Your Dreams As A Freelancer because there are no maximum amounts you can buy it. You can see from this screenshot below that someone actually bought my e-book of $0.99 at a whooping $50.00 and the affiliate that referred this sale made his own $25 from the sale. Imagine referring sales worth $1,000 in a day, you'd make nothing less than your own $500 for that day. How can you start promoting this e-book? All you need is to create an account on Gumroad and email me on shortstoriesthattouch@gmail.com to give you your own affiliate link. You just need to write a review of the book on your blog, or share it on your Facebook, Pinterest, Nairaland, Twitter and any other social media account to start generating sales on of course, CASH!